Paying for the Birds You See? Bird photography is part of the socio-technological assembly that is shaping futures. If birdwatching is to be a cultural force in the twenty-first century, our bird reserves will need to embrace developments and directions in digital technologies. … My thought experiment imagines a system of pay-for nature hides with an observation tower, like the one in Muritz National Park outside Berlin, as its centre piece. Birding has a strong ‘nature as a public good’ mentality. While many bird photographers agree with this principle, they are also willing to pay for entry to the facilities and special places that enable them to get the shot they desire. Nature hides are popping up across Britain and 2017 hide day rates are £75 for the opportunity to photograph Common Kestrels Falco tinnunculus, £99 for Kingfishers and £150 for Black Grouse. I just listened to a conversation with Mr. Bregman, and as he explained the premise for his book I was struck: times like these are exactly when the seeds for utopian thinking are in the most fertile soil. The book itself is not likely my cup of tea, but I am impressed by this man’s effort to bring us this, now. One of our favorite essayists (for exemplary reasons, see here, and here, and here) makes a compelling case for our taking a good look at the foundation of our assumptions, in this age of model mad. An editorial that I read yesterday– Does Decision-Making Matter?–was a welcome “moving on” from all the other kinds of recent editorializing. Welcome because it tells us there is a new Michael Lewis book, and especially welcome because it shows that five years after we first heard him credit two scientists for their influential work he has now gone the last mile in documenting their greatness for a mass audience. We have had a couple nods to that same work in our pages in recent years. Selling “light,” not light bulbs, is one way that companies producing long-lasting L.E.D. bulbs hope to stay in business, even after “socket saturation” sets in. In a business world of planned obsolesce and consumer world “throw away behavior”, it’s enlightening to see how companies are handling “doing good by doing well” for the both the environment and the consumer’s pockbook. Is there a workable business model for products that are built to last, rather than to fall apart? This is an idea that I explored here in July, in a story about the L.E.D. quandary. That quandary, in short: companies are making a good thing—light-emitting-diode bulbs that conserve energy and last for years—but they can’t make money in the long run from products that rarely need replacing. As global light sockets fill with L.E.D.s, century-old corporate titans are getting out of the bulb business even before “socket saturation” tips sales into a decline. The question remains whether any company has an incentive to make a product that is not designed to fall apart or become obsolete. After that story ran, several newer, smaller firms reached out to me claiming to have solutions to the conundrum. Two seemed worth a deeper look: Cree, an L.E.D. specialist in the U.S.; and UrbanVolt, based in Dublin, Ireland. Both say that they no longer sell light bulbs but “light.” They exemplify two very different approaches to doing so. Cree’s business model turns light into a gadget. A vertical hydroponic system that also serves a artistic window decor by Michael Doherty. Hydroponics is far from a new subject on our blog (read on Milo’s experimentation with hydroponics), and while the sustainable benefits of this gardening method have been shared before, there is still one aspect we haven’t covered: appearance. Just to cover the basics once again, hydroponics is a system of growing plants without soil and using mineral nutrient solutions in water. It’s water efficient and can be done easily in tight quarters, which means anyone can create a hydroponic system – in theory. “If you understand the fundamentals, what the plants need, and you have some practical use of tools, it can be just a kiddie pool filled with water and a floating piece of Styrofoam board with holes cut in it,” believes Gene Giacomelli, a professor of agricultural and biosystems engineering at the University of Arizona and director of the Controlled Environment Agriculture Center. Not long ago, I went to the top of Crater Mountain searching for a trace of the last living Beat poet, Gary Snyder. His fire lookout at 8,128 feet, where he scanned the summits of the North Cascades for the Forest Service in 1952, is long gone. But I later found his work — his words enlivening new generations at a camp below — and the man himself, kinetic in California. Alex Blumberg was only vaguely familiar to me when I listened to an interview with him on a podcast series that accompanied my early morning bicycle rides in late 2015. I had listened to Planet Money on occasion, and found it amusingly interesting most of the time. I had rarely, if ever, listened to This American Life, though many friends had recommended it. 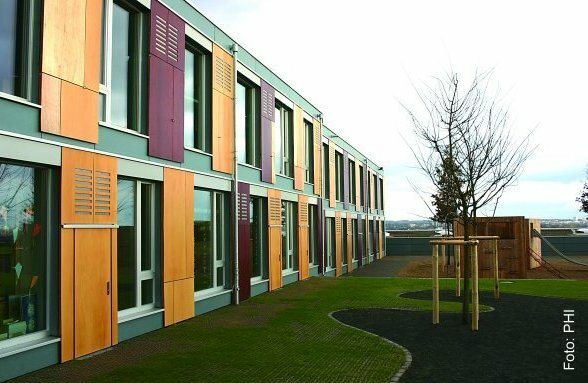 Built partly by volunteers, these low-budget Habitat for Humanity homes—now nearing completion—don’t look like anything special. They have basic brick facades like others in their gentrifying Ivy City neighborhood. We started the Bird Of The Day series very close to the beginning of this blog in 2011, and it has been our most important ongoing effort here. We get more visitation to those daily posts than to any other series, and in aggregate the series has brought us more new visitors to this site than any other kind of post. We have had a few other series–including “Come to Kerala” which we still write, and Word Of The Day, which we no longer write about–that fit our interests but get little or no traction from our readers. Today it occurs to me to begin a new stream, largely aimed at our own internal audience of hundreds of people we manage in India, Thailand and Costa Rica. Ideas. Starting here and now. 17 minutes well spent here with the Harvard Business Review podcast led me to this conclusion. Specifically, about 15 minutes into the podcast of an interview with Matt Mullenweg, founder and CEO of Automattic and co-founder of WordPress, caught my attention as a good idea. Small habits. Listen just for that, but he has plenty of other good ideas as well. In the Navajo culture, teachers are revered as “wisdom keepers,” entrusted with the young to help them grow and learn. This is how Tia Tsosie Begay approaches her work as a fourth-grade teacher at a small public school on the outskirts of Tucson, Ariz. Airports are growing a ‘green’ conscience, and how! If Kochi in Kerala, India is home to the world’s first airport to be completely powered by solar energy, then the Galapagos airstrip is not far behind. Going off-grid is just one way to offset massive carbon footprints left behind by the use of fossil fuels. Another way might be to add a touch of green – like JetBlue did at the New York airport. 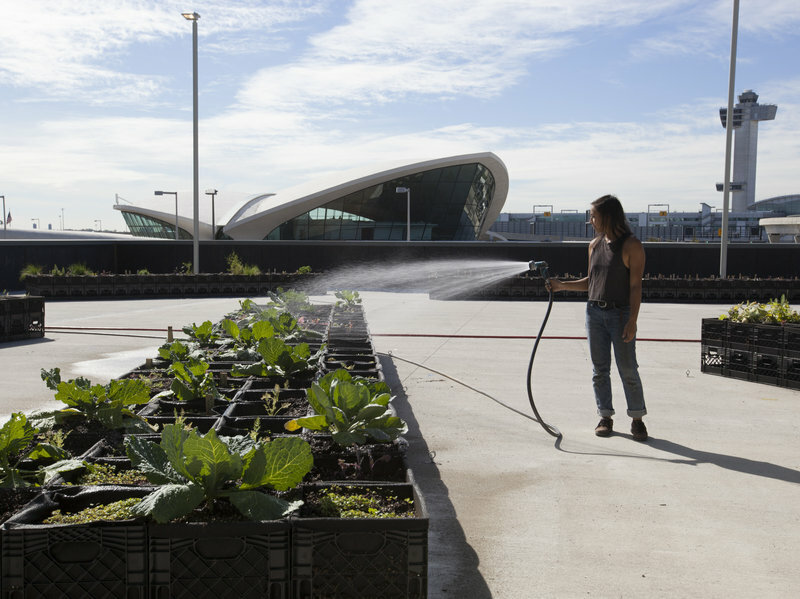 JetBlue was intent on growing potatoes and other produce at John F. Kennedy International Airport in New York. It took three years of jumping through hoops before the T5 Farm, named for its location outside Terminal 5, came to fruition in early October, the company says. About seven out of every 10 households in rural India have no access to electricity. Many of these households still use less efficient energy sources that are harmful to the environment, such as kerosene. Even in places where electricity is accessible, shortages are frequent and the supply is inconsistent. In such a scenario, solar lamps come as a blessing and are revolutionizing lives in the country and around the world. PRASHANT MANDAL FLIPS ON A CANDY-BAR-SIZE LED LIGHT in the hut he shares with his wife and four children. Instantly hues of canary yellow and ocean blue—reflecting off the plastic tarps that serve as the family’s roof and walls—fill the cramped space where they sleep. He shuts down the solar unit that powers the light and unplugs it piece by piece, then carries it to a tent some 20 yards away, where he works as a chai wallah, selling sweet, milky tea to travelers on the desolate road in Madhotanda, a forested town near the northern border of India. Clean care is safe care, says the World Health Organisation and follows it with a campaign on washing hands towards cleaner living and working conditions across the globe. And Dr. Pawan did his part too. 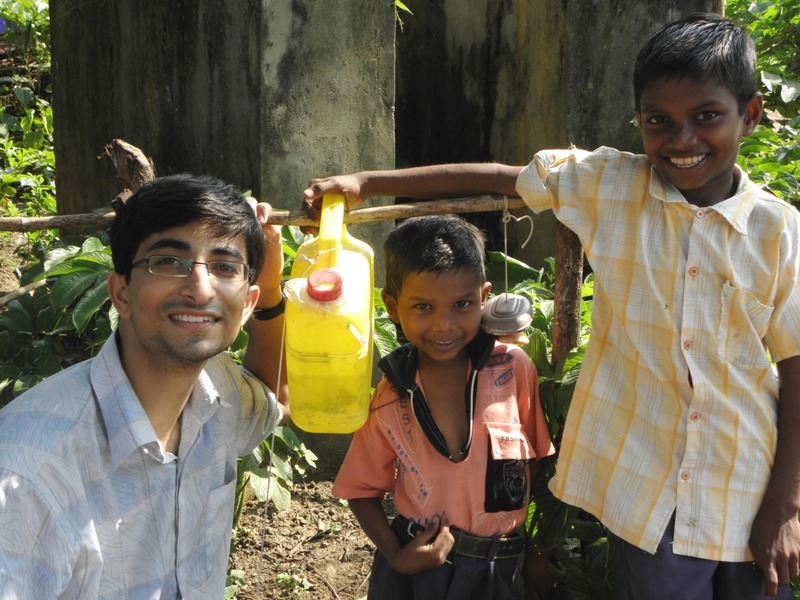 By creating a hand-washing device that costs less than 50 cents, roping in children to keep the initiative going, and relying on elders for the device to adapted and adopted into the community. In 2008, Dr. Pawan was one of the seven students selected for a two-year fellowship programme at Nirman’s SEARCH (Society for Education, Action and Research in Community Health), in Gadchiroli district, Maharashtra, India. The programme encourages students to work in areas affecting rural communities like water management and NRGA schemes, and being a physician, Dr. Pawan chose to work in the health sector. Living in the community, he realised that there were several diseases persisting in the village, those that could be prevented by merely drinking clean water or paying more attention to cleanliness. He promptly did a study that revealed that of the 64 families living in the village, only six families used soap for washing hands. Each year, the world loses or squanders a third of the food it produces. This means that somewhere between planting seeds in fields and providing nourishment to the world’s 7 billion people, approximately 1.3 billion tonnes of food with a value of more than US$1 trillion is lost or wasted. These numbers are simply untenable in a world where, according to Food and Agriculture Organization, some 870 million people do not have enough to eat. In fact, according to the FAO-commissioned study that tallied these numbers, if just one-fourth of lost or wasted food were saved, it could end global hunger. And drying food, to prevent it from rotting during storage, maybe a solution. 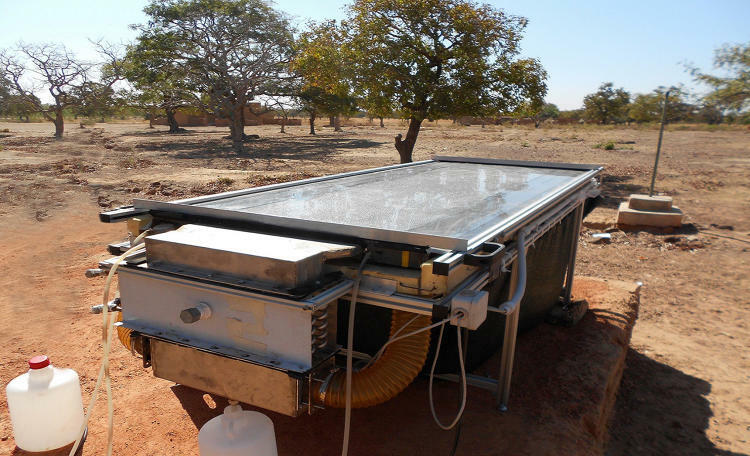 A clean, green solution especially with the FoodWa system that uses solar energy to dry foods. 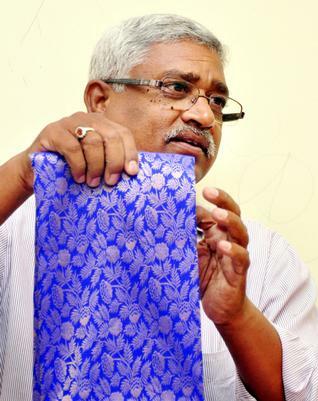 Do you know how many silkworms are normally killed to make a five yard silk sari? Kusuma Rajaiah, a 55-year old government officer from India’s Andhra Pradesh state, does: “Around 50,000.” Rajaiah estimates that around 15 silkworms are normally sacrificed to produce a gram of silk yarn. For years, he’s been battling against what he describes as the “cruel killing of millions of innocent worms.” And has come up with an alternative. He realized the lure of silk was too strong to persuade people to give it up altogether so he came up with a technique that spares the life of the silkworm. Ahimsa silk derives its idea and the brand name from Mahatma Gandhi, who was also critical of the conventional method of silk production. In fact, he had written to the Silk Board of India to explore ways of producing silk without hurting any living being. For Rajaiah, it’s a matter of pride to have fulfilled that wish; a pride shared by those who use the fabric. Bangladesh is prone to flooding due to being situated on the Ganges Delta and the many distributaries flowing into the Bay of Bengal. Coastal flooding, combined with the bursting of river banks is common, and severely affects the landscape and society of Bangladesh. 75% of Bangladesh is less than 10m above sea level and 80% is floodplain, therefore rendering the nation very much at risk of periodic widespread damage, despite its development. One man, who as a child often found himself cut off from school, did not want the future generations to face the same plight. 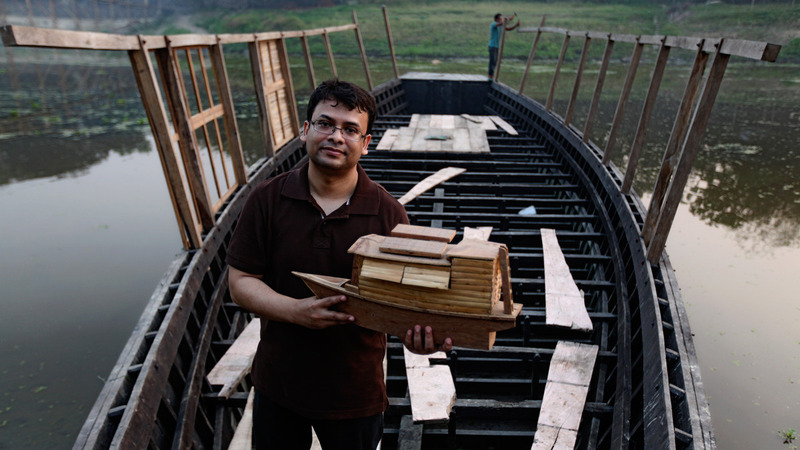 His idea: using boats to facilitate education at the time of floods.